With humble beginnings as a two-man operation, Hornady has grown to become a world-leading innovator of high-performance bullets and ammunition. 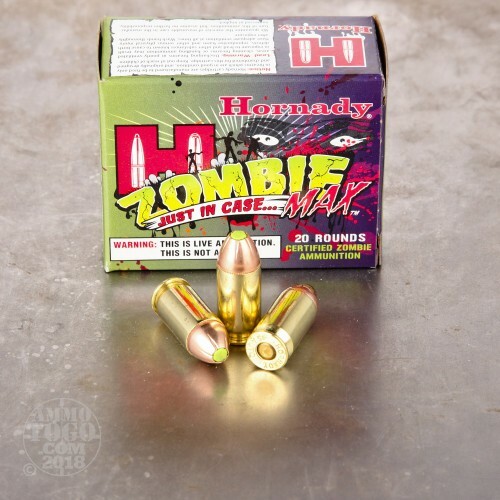 This Hornady Zombie Max ammo are the perfect addition to your bug-out bag or SHTF stockpile. 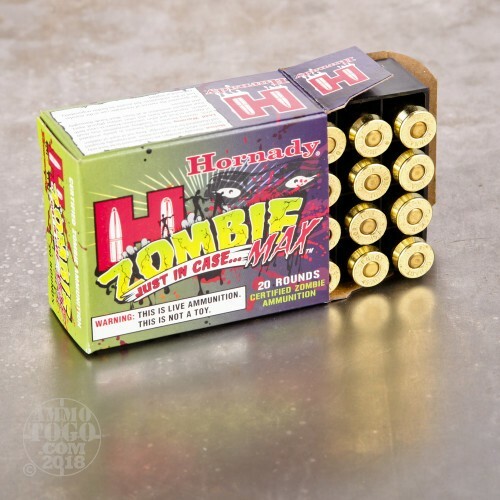 A special, limited edition novelty line created for killing zombies, Hornady Zombie Max also performs well as an everyday self-defense load. 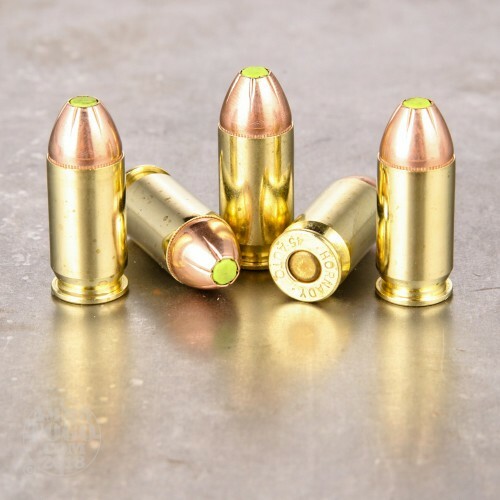 Each round is loaded with a 185 grain Z-Max jacketed hollow point projectile. Featuring a green polymer tip, Z-Max projectiles are designed improve the ballistic coefficient and guarantee quick and effective expansion upon target impact. Also featuring the same jacket technology as the Hornady A-MAX, these zombie loads have minimal variation in jacket wall thickness, guaranteeing dependable performance and accuracy with each shot. 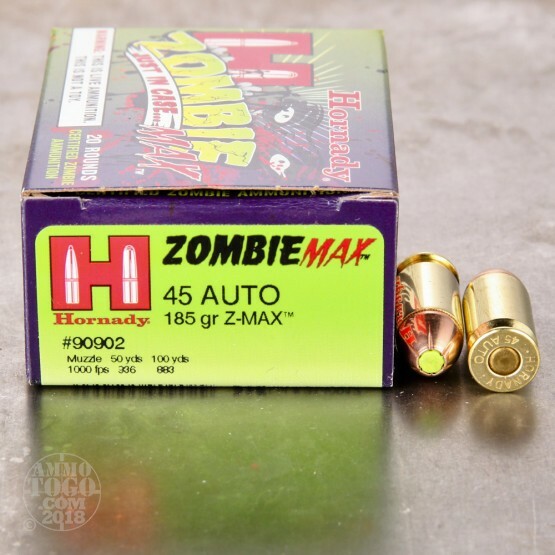 This package contains 20 rounds of Hornady Zombie Max .45 ACP ammunition. Brass cased and boxer primed, each round produces a muzzle velocity of 900 feet per second and a muzzle energy of 333 foot pounds. Largest expansion I have seen out of a 45 caliber bullet. Very impressive! Critical Defense is the slightly better because of the nickel cases and low flash powder, but same bullet. Good round, though it lacks flash suppressant powder, it performs terrific and best in short barrels with light recoil, low costs, and extreme reliability.